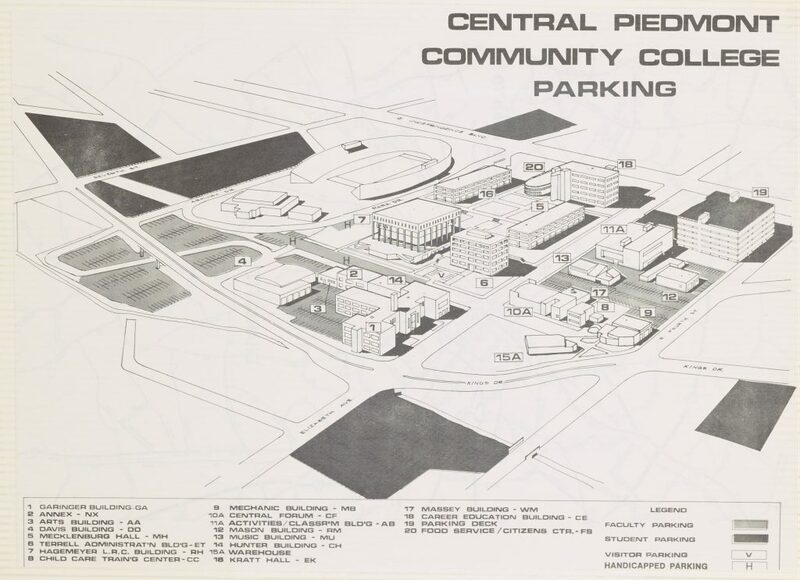 A view of the CPCC Campus and Parking Lot, circa 1979. CPCC brought in planetarium curator Ray Shubinski to teach an astronomy class in 1980. A new batch of several scrapbooks containing news and goings on at Central Piedmont Community College from May 1978 to Dec 1980 are now online on DigitalNC. These scrapbooks join previously digitized ones dating back to the late 1940s that cover the founding and first few years of CPCC. Included in the new scrapbooks are newspaper clippings, newsletters, photos, and advertisements. Looking through the scrapbooks shows us what sorts of interesting programs and events were hosted on campus at that time. For example, when PBS broadcasted Carl Sagan’s Cosmos in October 1980, CPCC brought in Ray Shubinski, the planetarium curator of the Charlotte Nature Museum (now Discovery Place), to teach an accompanying 13-week course. At the time, the course cost $10.75. To read more about Central Piedmont Community College in the 1970s, you can browse the scrapbook collection here. To learn more about CPCC, visit their partner page, or take a look at their website.